There are glimmers of progress on intellectual property with China despite challenges. 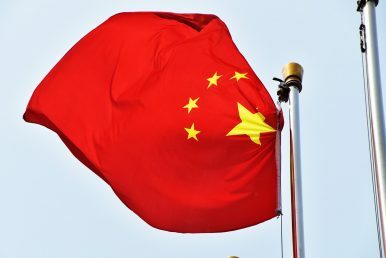 Over the past weeks the nature of U.S. complaints over Chinese violations of intellectual property have become clearer. In particular, one of the violations the Section 301 filing alleges involves the forced transfer of technology from U.S. firms to Chinese firms. This has long been a concern in the United States, both to industry groups and policymakers, although more to the latter than the former. Effectively, U.S. firms need to pay a bribe to Chinese partners in the form of technology transfer in order to operate in China. Pay-to-play is a problem, but generally speaking a manageable one; if U.S. firms do not want to transfer technology, then they can simply say no to joint ventures, even if this means that they cannot operate in China. Pay-to-play arrangements violate certain aspects of U.S. and international IP law, but the decision on whether to pay can be essentially economic, given the existence of a robust system of intellectual property protection. The problem emerges when U.S. firms have no faith in the interest or ability of the Chinese government to protect their technology. Technology transferred to a particular firm on the basis of a joint agreement may not stay with that firm; instead, it may spread to numerous competitors. A third concern, however, involves the threat of unwanted theft of U.S. IP under the aegis of China’s new cybersecurity law, which places limits on the storage and transfer of data. Many experts believe that this law gives Chinese authorities and potential IP thieves unwarranted access to trade secret associated data, whether during the storage or transfer process. U.S. companies remain wary of China’s IP regulatory system, especially on trade secret related issues; the incentive for bad faith dealing on the part of Chinese authorities is extremely high. This is part of the larger conundrum regarding U.S. trade practice towards China. The U.S. strategic community has identified China as a significant threat to the United States, and the so-called “Third Offset” has identified technological superiority as a key element of the U.S. military answer to this threat. Yet U.S. firms cannot seem to resist a chance to take advantage of the Chinese market, both on the production and demand sides. It remains unclear how the Trump administration will approach managing these problems, although hard-liners expect tariff and investment restrictions that could trigger a trade confrontation with Beijing. That said, there are still glimmers of progress on IP with China; the shoe company New Balance recently won a ruling against Chinese infringers in a Chinese court. And as Lucy Lu and Gary Clyde Hufbauer have argued, it is possible that the Section 301 filing could push both parties into reviving negotiations for a trade accord that would provide for IP enforcement. For the moment, however, key parts of the single most important trade relationship in the world remains up in the air. Trump has taken a much harder line on Chinese IP violations than his predecessors.